Introducing the 2016 Summer Blogger Promo Tour Signups! There are 9 Sundays in July/August total this year. 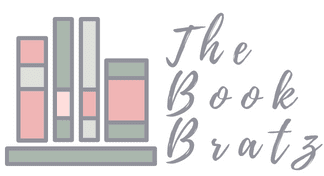 We're going to be selecting 40 book bloggers through a signup process (and this process is first come, first serve this year, and the cap is DEFINITELY 40.) The bloggers will be divided into various groups of 8. Each blogger in the lineup will put up a post on their blog every Sunday throughout July and August. Each week, your post will be featuring another book blogger involved in the tour. (You will be emailed a schedule in late June that will tell you which book bloggers to feature on which Sunday.) You could do an interview with the blogger, explain what you like about their blog, something fun or creative, a booktuber collaboration, etc. Whatever you want--it's up to you! All you have to do is make sure that post basically swags out the assigned blogger/book blog. In return, they'll do the same for you and your blog when it comes time for them to cover yours. So long story short, you will be given a schedule of 8 different bloggers to collab with on your own blog each Sunday throughout the summer. (There are 9 weeks this summer, though, and the 9th week will be your wrap-up post.) You will be given the contact information for all of the blogs you have to feature, and it will be your responsibility to reach out to the scheduled blogger each week and come up with an idea of what to do on your blog. 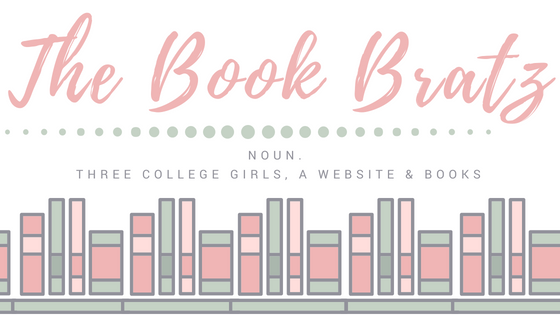 Some of the awesome things that took place during the last few years were book quizzes, interviews, trivia games, fancasts, book discussions, co-reviews, guest reviews, and more! The way the rotation will work is that all of the 8 blogs in your group (there will be Groups A - E) will be featured each week. Your blog will be talked about on 8 other blogs at different points for 8 entire weeks. (For the 9th week, everyone will be doing a wrap-up post about their tour experience, otherwise you'd be swagging out YOUR blog for the 9th week, which makes no sense). The purpose of this tour is just to highlight new and different YA book bloggers and get to get the word out and learn about them and promote them, while having them do the same for you in return. And the system has proven to be successful - since we started the Summer Blogger Promo Tour three years ago, blog traffic on all participating blogs has increased tenfold, and some of our most lasting blogging friendships and partnerships were formed as a part of this tour. Every Sunday throughout July and August will be filled with interviews, discussions, shoutouts, and tons of other fun! This is going to be a super awesome tour that we're so excited for--and we launch on July 3rd! So many awesome friendships have been formed through the Summer Blogger Promo Tour over the years, and this year will be just as awesome! Some awesome friends we met and bonded with over the 2014 tour were: Dana Square, Endlesslyreading, Ana Loves..., The YA Club, Caught Read Handed, Ink on the Shelf, The YA's Nightstand and SJ Bouquet! Sign ups for the 2016 Summer Blogger Promo Tour will be taking place from now until Tuesday, June 14th. (If we reach our 40-blogger limit before then, signups will be closed earlier.) After that date, sign ups will be closed and you will all receive a welcome email and another email with your individual tour schedule! The signup process is first come, first serve. The first 40 bloggers to sign up are guaranteed a spot on the tour. All blogs, big or small, are welcome! There is no follower/view/blog traffic minimum. If you're willing to participate, you're welcome aboard! Signups for the 2016 Summer Blogger Promo Tour have officially been closed. Welcome emails will be sent out within the next two weeks! Summary: When Eadlyn became the first princess of Illéa to hold her own Selection, she didn’t think she would fall in love with any of her thirty-five suitors. She spent the first few weeks of the competition counting down the days until she could send them all home. But as events at the palace force Eadlyn even further into the spotlight, she realizes that she might not be content remaining alone. Eadlyn still isn’t sure she’ll find the fairytale ending her parents did twenty years ago. But sometimes the heart has a way of surprising you…and soon Eadlyn must make a choice that feels more impossible—and more important—than she ever imagined. At first I was hesitant to start The Selection series, but I kept hearing great reviews and everyone was in love with it so I gave it a chance. When I read The Heir I didn't really like Eadlyn too much. She seemed too full of herself and didn't seem to really care about her selection. But the events that take place at the end of the book, and the fact that she may be falling for someone, Eadlyn continues her Selection. When The Crown began, Eadlyn cut down her Selection right the the six Elite. As America is recovering from her heart attack, and Maxon watching every move she makes, Eadlyn ascends the throne. Eadlyn, much to everyone’s surprise, continues her Selection. Trying to fit in time for dates and now ruling Illea, she doesn't realise the one she is truly in love with. 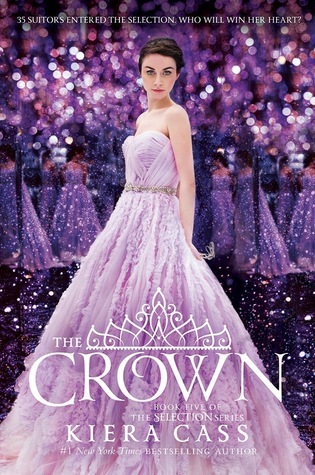 The ending the The Selection series is truly a Happily Ever After and can't express how happy I am with the way this series ended. 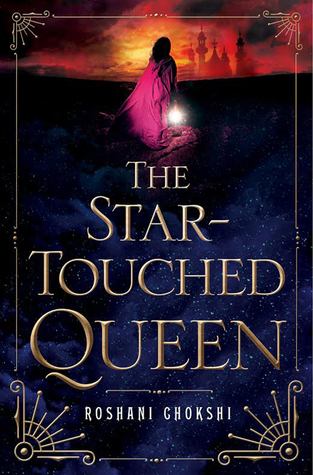 For the last post this month we have an excerpt of The Star-Touched Queen! In Bharata, no one believed in ghosts because the dead never lingered. Lives were remade instantly, souls unzipped and tipped into the streaked brilliance of a tiger, a gopi with lacquered eyes or a Raja with a lap full of jewels. I couldn’t decide whether I thought reincarnation was a scare tactic or a hopeful message. Do this, so you won’t come back as a cockroach. Give alms to the poor, and in your next life you’ll be rich. It made all good deeds seem suspect. Even then, it was a comfort to know that there were no ghosts in my country. It meant that I was alive. To everyone else, I was a dead girl walking. But I was no ghost. I was no spectral imprint of something that had lived and died and couldn’t leave this place behind. It meant I still had a chance at life. By the time the funerary procession ended, the sun had barely begun to edge its way across the sky. The mourners had dispersed as soon as the royal announcement ended and only the flames presided over Padmavathi’s burial. When the noonday bell rang throughout the palace, even the smells — smoke and petals, salt and jasmine — had disappeared, scraped up by the wind and carried far into the shadowless realm of the dead. Before me, the halls of the harem glittered, sharp as a predator’s eyes. Light clung to the curved torsos of statuettes and skimmed the reflections from still pools of water. In the distance, the great double-doors of the harem yawned open and the mellow midday heat crept in from the outside. I could never trust the stillness of the harem. Behind me, the living quarters and personal rooms of the harem wives and my half-sisters had melted into shadow. The caretakers had set the children of the royal nursery to sleep. The tutors had begun droning to the betrothed princesses about the lands and ancestries of their soon-to-be husbands. I had my own appointment. My “tutor of the week.” Poor things. They never lasted long, whether that was their decision or mine just depended on the person. It wasn’t that I disliked learning. It was simply that they couldn’t teach me what I wanted to know. My real place of study hovered above their heads. Literally. Outside, the thunder of clashing gongs drifted through the harem walls. Parrots scattered from their naps, launching into the air with a huff and a screech. The familiar shuffle of pointed shoes, golden tassels and nervous voices melted into a low murmur. All of my father’s councilors were making their way to the throne room for his announcement. Within moments, my father would reveal his solution for dealing with the rebel kingdoms. My heart jostled. Father, while never on time, was nonetheless efficient. He wouldn’t waste time on the frivolities of the court, which meant that I had a limited amount of time to get to the throne room and I still had to deal with the most recent tutor. I prayed he was a simpleton. Better yet — superstitious. Father once said the real language of diplomacy was in the space between words. He said silence was key to politics. Silence, I had learned, was also key to spying. I slipped off anything noisy — gold bracelets, dangling earrings — and stashed them behind a stone carving of a mynah bird. Navigating through the harem was like stepping into a riddle. Niches filled with statues of gods and goddesses with plangent eyes and backs arced in a forgotten reel of a half-dance leaned out into the halls. Light refracted off crystal platters piled with blooms the bright color of new blood and flickering diyas cast smoke against the mirrors, leaving the halls a snarl of mist and petals. I touched the sharp corners. I liked the feeling of stone beneath my fingers, of something that pushed back to remind me of my own solidity. As I rounded the last corner, the harem wives’ sharp laughter leapt into the halls, sending prickles across my arm. The harem wives’ habits never changed. It was the one thing I liked about them. My whole life was crafted around their boredom. I could probably set my heartbeat to the hours they whittled away exchanging gossip and suspicions. Before I could run past them, a name rooted me to the spot…my own. At least, I thought I heard it. I couldn’t be sure. No matter how much I wanted to plant one foot in front of the other and leave them behind, I couldn’t. I held my breath and stepped backwards, pressing my ear as close to the curtains as I could. “It’s a pity,” said a voice sultry from years spent smoking the rose-scented water pipes. Mother Dhina. She ruled the harem with an iron fist. She may not have given the Raja any sons, but she had one enduring quality: life. She had survived seven pregnancies, two stillbirths and a sweating sickness that claimed eight wives in the past three years. Her word was law. A simpering voice. Mother Shastri. Second-in-command. She was one of the younger wives, but had recently given birth to twin sons. She was far more conniving than Mother Dhina, but lacked all the ambition of real malice. My hands curled into fists, nails sinking into the flesh of my palms. Advithi. I didn’t know her long enough to call her mother. I knew nothing of her except her name and a vague rumor that she had not gotten along with the other wives. In particular, Mother Dhina. Once, they had been rivals. Even after she died, Mother Dhina never forgave her. Other than that, she was a non-descript dream in my head. Sometimes when I couldn’t sleep at night, I’d try to conjure her, but nothing ever revealed itself to me — not the length of her hair or the scent of her skin. She was a mystery and the only thing she left me was a necklace and a name. Instinctively, my fingers found her last gift: a round-cut sapphire strung with seed pearls. Bharata may not believe in ghosts, but horoscopes were entirely different. The kingdom choreographed whole lives on whatever astral axis was assigned to you. Father didn’t seem to believe in horoscopes. He spoke of destiny as a malleable thing, something that could be bent, interpreted or loosened to any perspective. But that didn’t change the mind of the court. Whatever magic had unearthed meaning in stars, my celestial forecast was shadowed and torn, and the wives never let me forget. It made me hate the stars and curse the night sky. I dug my nails into my palms. How many times had I asked myself that question? I tried to convince myself that it was just the idle talk of the harem wives and a series of bad coincidences, but sometimes… I wasn’t so sure. I pushed myself off the wall. I knew all the rumors, and I didn’t care to hear them again. Their words crawled over my skin. I wanted to shake off the insults, the laughter, the shadows. But all of it clung to me, thick as smoke, pushing out the blood from my veins until I pulsed with hate. The second gong rang in the distance. I walked faster, feet pounding on the marble. As I ran through the gardens, sunlight slanted off my skin and a feeling of wrongness struck me. It didn’t dawn on me until afterwards, until light knifed through the fig trees and striped me like a tiger, until I caught the shadow-seamed imprint of a leaf against the paved walkway to the archival buildings. I've loved The Selection series from the start, when Amber convinced me to give it a try a few years ago. I've always had a soft spot for books about royalty, not that I know why - I just found them endlessly fascinating. So, needless to say, I fell in love pretty quickly. And I could only hope that the final book in this awesome series would tie everything up and leave me satisfied as a reader, since I've been following The Selection from the very first book. As for what I did like, I admired Eadlyn's character. She possessed such a strength that I don't think I would've been able to have at that age, having to juggle between finding a husband and taking care of my mother and ruling a country. Even when she had her moments where she wasn't the country's most desirable monarch, her perseverance for doing the right thing managed to shine through. I also enjoyed all of the boys, especially Henri. They each had their own personalities and Eadlyn's interactions with each of them were all entirely different, and that's what was good. The boys didn't all blend into one another like the girls did in the earlier parts of the series. It was also really nice to get to see a Selection from the eyes of the prize instead of from the eyes of a contestant, as America had once been. It was definitely an interesting change in perspective. All in all, I really enjoyed The Crown. I'm sad to see the series go since I've been such a fan since the beginning, but on the other hand I also can't wait to get my hands on more books by Cass (such as The Siren! ), because she's an excellent writer and I've enjoyed every book of hers thus far and I don't think I'm about to stop now. Hey guys! Since a lot of people found my other "list" post funny last week, I figured I'd do another one. (If you haven't read my post on The Seven Things You Learn From Book Conventions, I recommend checking that one out!) So today I'm here to talk about the five things that you learn from your blogging friends. 1. Internet friends aren't any less of your friends than the people you see in your everyday life. Because come on, even if you guys live halfway across the country or the world, they're still the people you want to talk to when exciting book news comes out, and they're the same people you want to vent to when the blogging world gets stressful. 2. Meeting people at events doesn't have to be a scary experience. Normally I am so shy when it comes to talking to people I don't know, but every time I've been at a book event and met up with you guys, my fears instantly melted away. When you get to know people through working with them on the internet for blog-related things, you already have a semi-established relationship, and things aren't so scary. 3. How to divide and conquer. BookCon Day game plans are a thing of legend. You learn how to split who goes where and who picks up what swag/books so everyone gets to accomplish everything they wanted done. Working as a team to collab on a blog post or event is such a rewarding feeling. And there's always strength in numbers! 5. Having someone to fangirl over stuff with all of the time is so, so awesome. This one doesn't even need an explanation. It's just awesome. So I hope you guys enjoyed this post about some things I've learned from some of my blogging friends! If you are one of those blogging friends, shoutout to you guys, because I love and appreciate you all! Summary: Amy Gumm’s mission to take down Dorothy Gale is not going according to plan. Dorothy has found a way to bridge the worlds of Oz and Kansas, and if the power-hungry dictator of Oz has her way, Kansas will be destroyed forever. Now, Amy has to team up with the Revolutionary Order of the Wicked to save her home, restore the balance between the magic and nonmagic worlds, maybe get the guy—and kill that not-so-sweet Kansas farm girl once and for all. I first became a fan of these series a few years back when I met author Danielle Paige at BookCon and got myself a copy of Dorothy Must Die. Since then, I fell in love with this totally riveting and outlandish retelling of one of the world's sweetest stories, The Wizard of Oz. 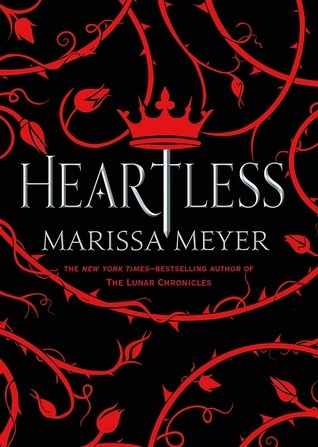 I loved the second book as much as I loved the first, and the third book (the one I'm reviewing right now), was even good as well, even if I didn't see it as up to par with the previous two. My problem with this series is that I feel it would've been better as one book, or maybe a duology, but that's about it. A fourth book is currently in production, which a lot of people are excited for but I personally feel is a bit overkill, only because the series was so great that it shouldn't be dragged on, because that's when it starts to lose its value. (Spoilers coming up ahead so please skip to the next paragraph if you haven't read this book yet!) The fact that they managed to kill Dorothy in this book seems a bit sketchy, because they didn't actually kill her, and if there's anything that you can call that evil snot of a girl, it's resilient. So I'm already predicting that she's going to come back from wherever she was banished and wreak more havoc. Which ultimately rids the fourth book of its entire shock factor, which already makes it lose some value in my mind. What I wasn't big on in this book was the fact that it just seemed to be one giant chain of things. As soon as one issue was solved, another one popped up less than an hour or so after. (Occasionally you were given a 12 hour reprieve while the characters were sleeping.) I get that the point of the story is to grip you and pull you in, but reading this book started to actually make me feel a little bit exhausted, because it was just one constant plot point after another, and everything felt way too crunched in and rushed. Too much definitely felt like it was happening too fast. However, there were aspects of this book that I did enjoy. The actual story itself is something super fascinating - the idea that Dorothy went back to Oz and transformed from the sweet girl she once was into someone worse than all of the witches combined. Seeing all of the story's famous characters in a new (and particularly evil) light definitely opens your eyes and catches your interest. Danielle Paige has no shortage of creativity in this series, that's for sure! 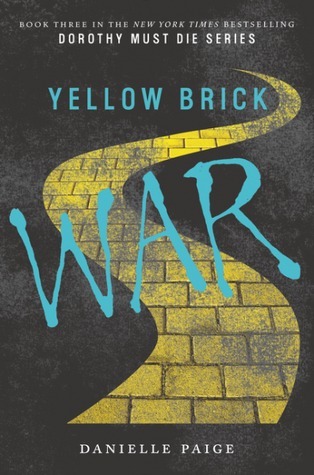 All in all, I enjoyed Yellow Brick War. It was a fast-paced novel that picks up where the previous book left off in the fight to end Dorothy and her reign of evil once and for all. With the way this book ended, I can definitely say that there will be a fourth book coming (and Goodreads seems to agree with me). Although I wish the series wouldn't continue so it can end on a good note while it doesn't feel dragged on, I'll definitely be reading the next book in the series because I'm curious to see what happens to all of the characters and to Oz itself! 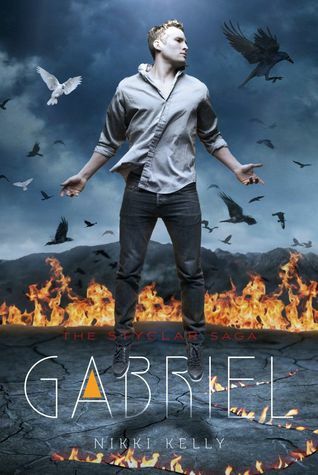 Read Jessica's review of Gabriel! Summary: Gabriel is an Angel Descendant. He's also an ally to a generation of vampires who want to break away from the demon who controls them. His faith in the power of good over evil wavers, however, when he discovers that Lailah, the woman he considers his only true love, may be both angel and demon. Is their love enough to overcome the dark forces who are ready to go to war with Gabriel, the vampire Jonah, and the angel and vampire forces? And can Gabriel compete with Jonah, who is also in love with Lailah? I recently finished reading Gabriel by Nikki Kelly. I absolutely loved Lailah and couldnt wait to read the sequel. To begin, while reading Lailah, I was totally Team Gabriel, but… now I'm not so sure. The book started with Lailah awakening after Zherneboh came for her in book 1. After she wakes, it’s clear she’s having trouble remembering who is with her, Gabriel, as she’s referring to him as “her protector”. I’m sorry, but how do you forget someone as beautiful and charming as Gabriel? She eventually regains that memory pretty fast. Now with Lailah discovering what she truly is, half angel half vampire, Gabriel wants to run to protect her, only stuff gets in the way and of course that doesn't happen. Meanwhile, Lailah is desperately trying to deny the darkness in her and is refusing to feed on blood so Gabriel will still love her. The Pureblood Vampires find out she’s alive and now comes in Lailah, trying to save the day and sacrifice herself to save her loved ones. One thing that annoys me is the fact that she is denying part of herself, on the verge of killing herself, because she’s too afraid of Gabriel not accepting her. Um hello, if he really truly loves her, he should be able to accept that part of her! In the beginning of the book, Laliah doesn't remember Jonah. Yes I was a little shocked by that. Jonah is on the verge of death and Lailah’s blood can heal him. But one thing, If Jonah drinks her blood, the Purebloods with know she’s alive. Lailah, drawn to Jonah, for reasons she can't remember, heals him. Now Lailah remembers Jonah and she’s torn between Gabriel and Jonah. Not really surprised because who can't love both of them? I won't share the ending because i've probably spoiled enough for you, but let's just say, I was completely surprised by what Gabriel did. I knew Lailah would do what she did though and now I cannot wait to see how Jonah plays out.